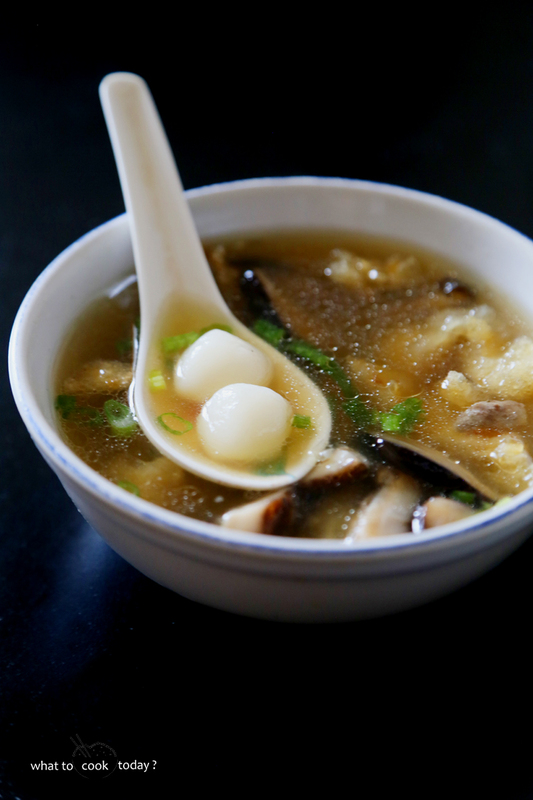 The savory version of tang yuen is served in soup and ingredients chicken, fish maw and mushrooms. 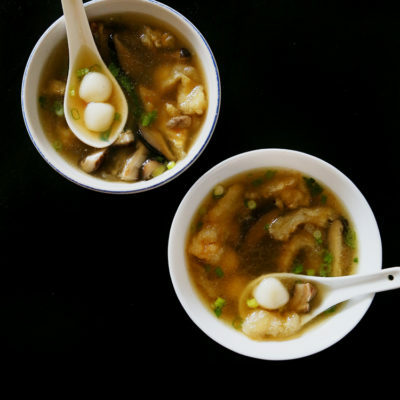 The Dong Zi festival or known as winter solstice celebration is around the corner. I talked about it in my other post on glutinous rice ball with peanut fillings. It’s one of the significant celebration in the Chinese tradition. I loved making tang yuan since I was a little kid. So, I really wanted my kids to know about this culture too. They are still young to really understand what it’s all about, but they sure had fun helping me shaped the little balls. Honestly speaking, I had only had savory glutinous rice balls once in my entire life until this post. 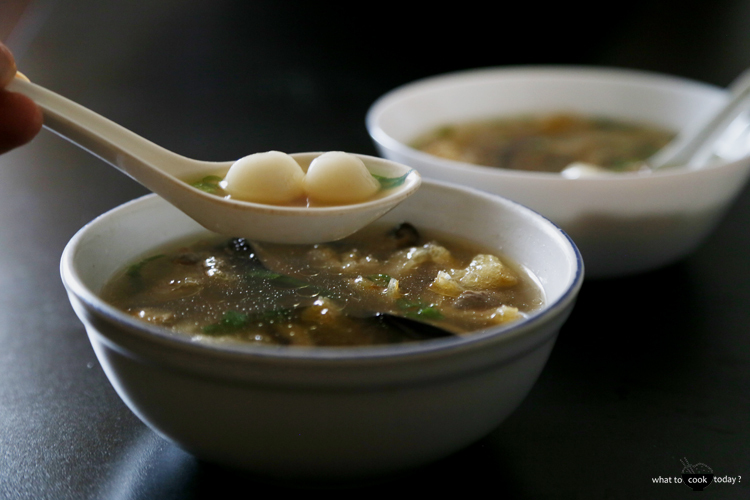 I had it because my grandma (my dad’s side) made the savory tang yuan. My mom always made the sweet version. With all the Christmas cookies, baking that I did and got from friends, I decided we (or actually I) needed a little break from the sweets. After all, there’s only so much sweets one can have – said no one ever ! My sister got me some fish maw. I love to cook it in soup. 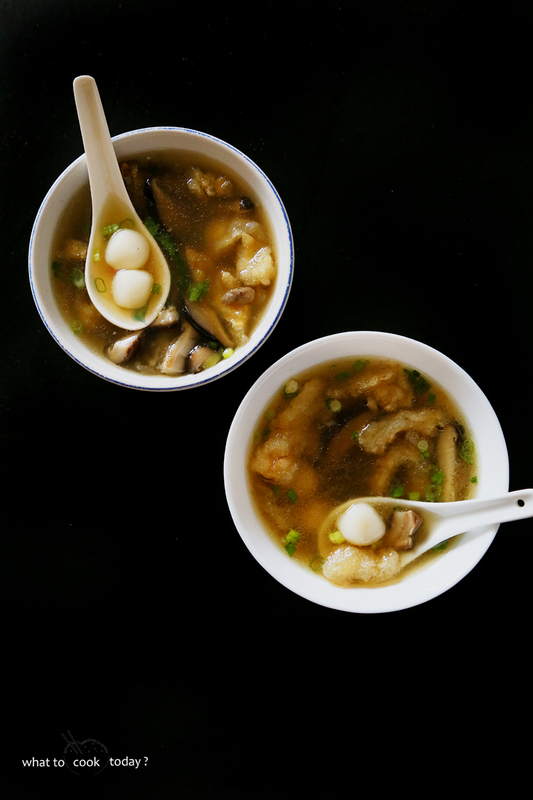 So, I decided to make a soup and throw in some tang yuan in there. It may sounded weird, but I really enjoyed it, especially in this wintry weather. Yum! 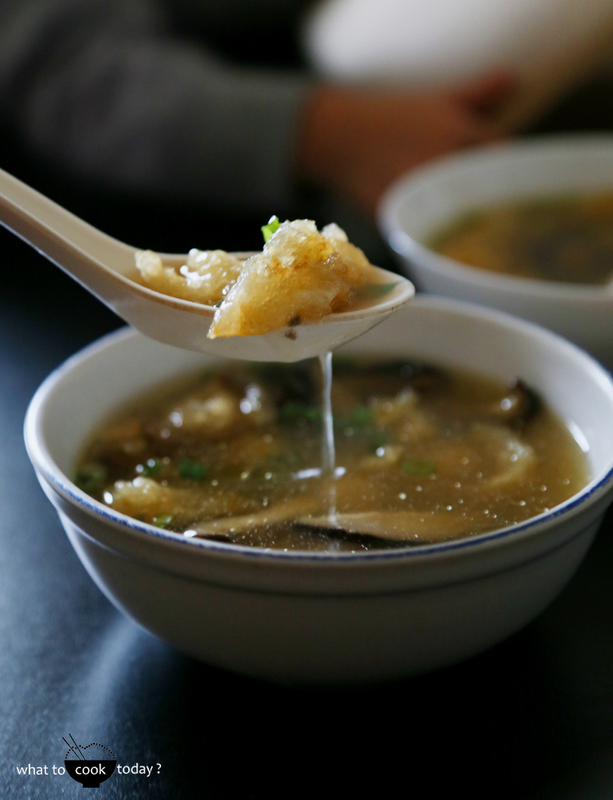 I could eat a bowlful right about now! Love the rice balls!